Migrant children watch cartoons, a father saves his son from a flying bat, a cub snuggles with its mother and more. 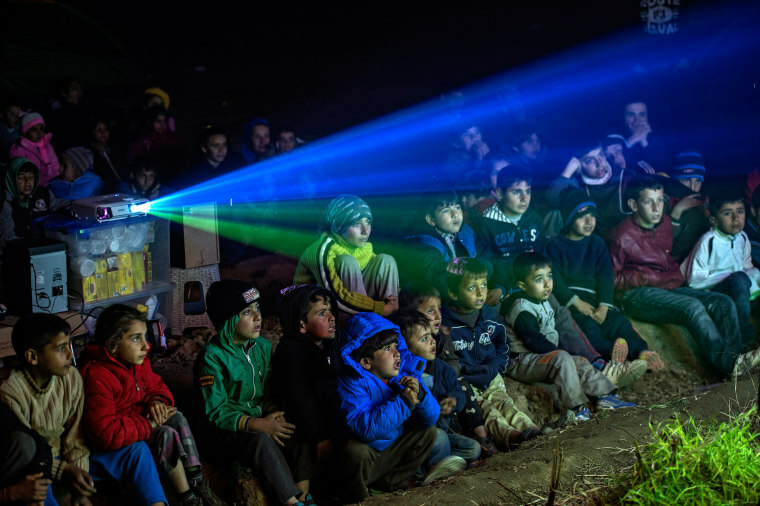 Refugees and their children watch cartoons projected on the side of a van on the Greek-Macedonian border near Idomeni, Greece, on March 5, 2016. Thousands of migrants and refugees are stranded at a border camp in Idomeni, unable to cross into Macedonia. 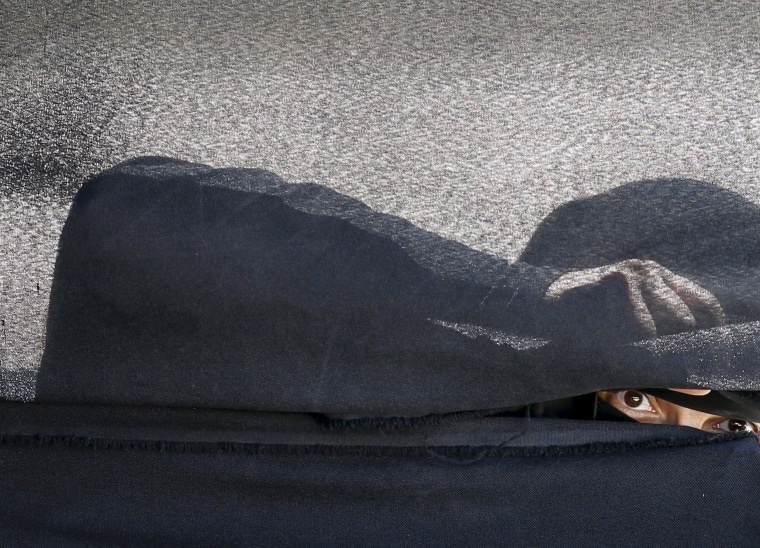 A woman looks through a tent during a gathering by Houthi loyalists against Saudi-led air strikes in Yemen's capital Sanaa on March 9. 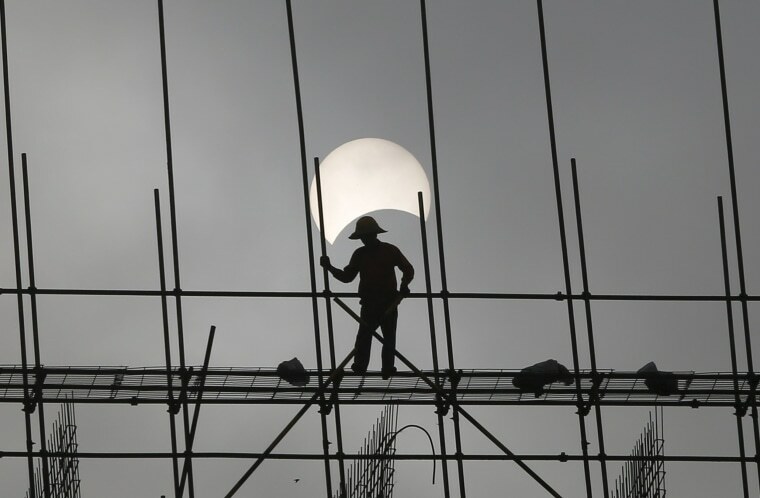 A laborer works at a construction site in Phnom Penh, Cambodia, during a partial solar eclipse on March 9. 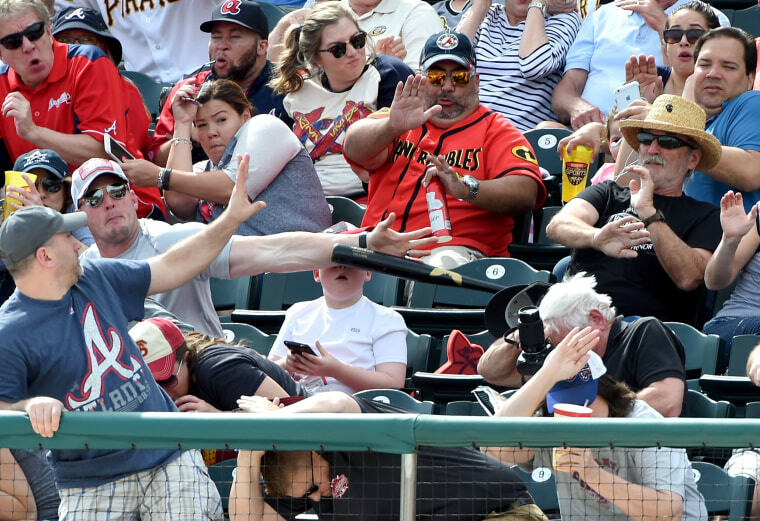 A fan knocks down a bat thrown into the stands by the Pirates' Danny Ortiz during a spring training game at Champion Stadium in Lake Buena Vista, Florida, on March 5. 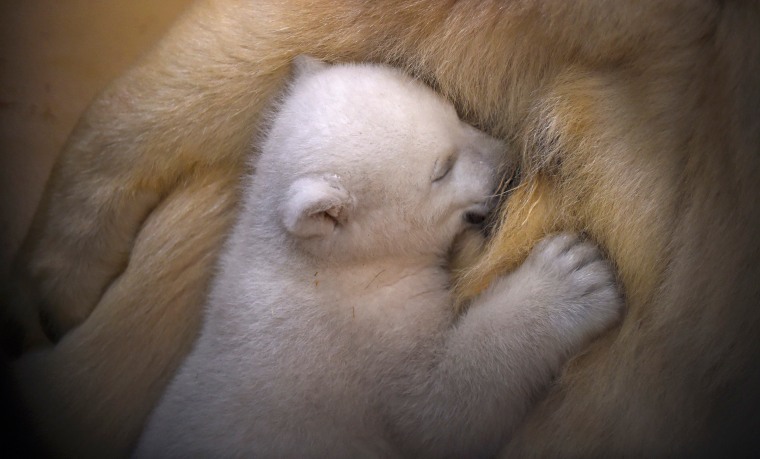 A polar bear cub snuggles up against her mother Valeska at Bremerhaven Zoo in Germany on March 9. The female cub, who is still unnamed, was born on Dec. 11, 2015. 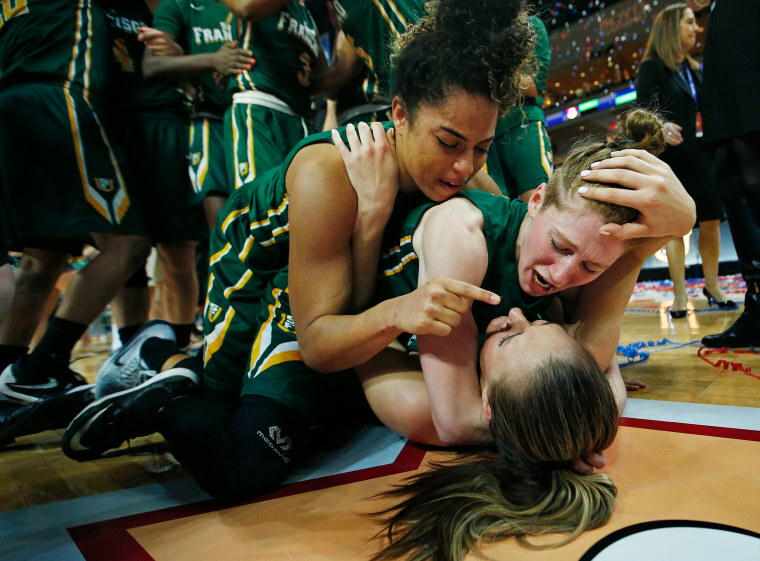 San Francisco Lady Dons players, guard Zhane Dikes, top, guard Rachel Howard, center, and forward Taylor Proctor, bottom, celebrate after they defeated the Brigham Young Cougars in the West Coast Conference championship game in Las Vegas on March 8. 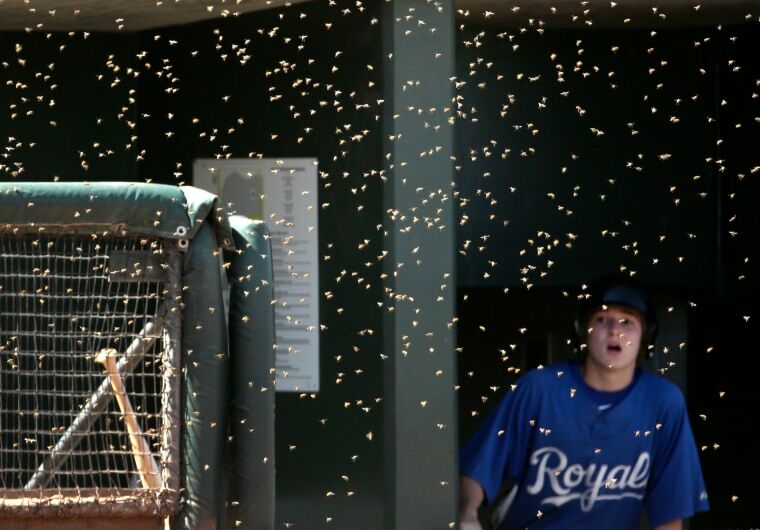 A batboy watches as bees swarm near the Kansas City Royals' dugout during the second inning of a spring training baseball game against the Colorado Rockies in Surprise, Arizona on March 8. 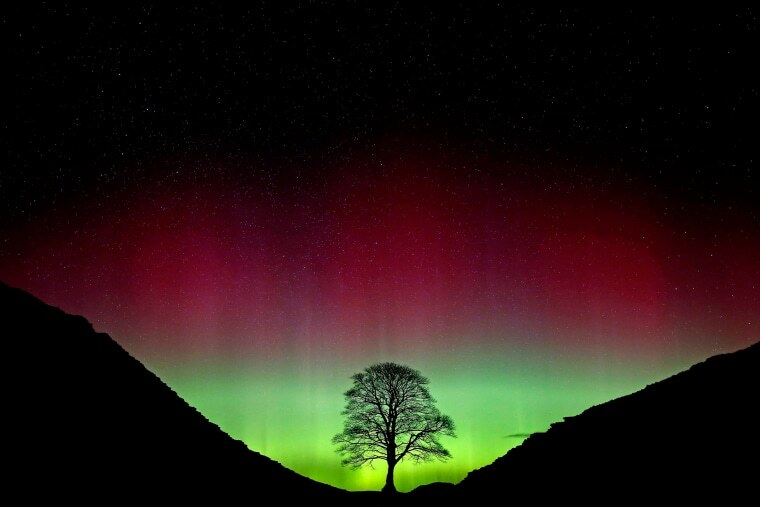 The Northern Lights, or Aurora Borealis, shine over the Sycamore Gap at Hadrian's Wall in Northumberland, England on March 7. 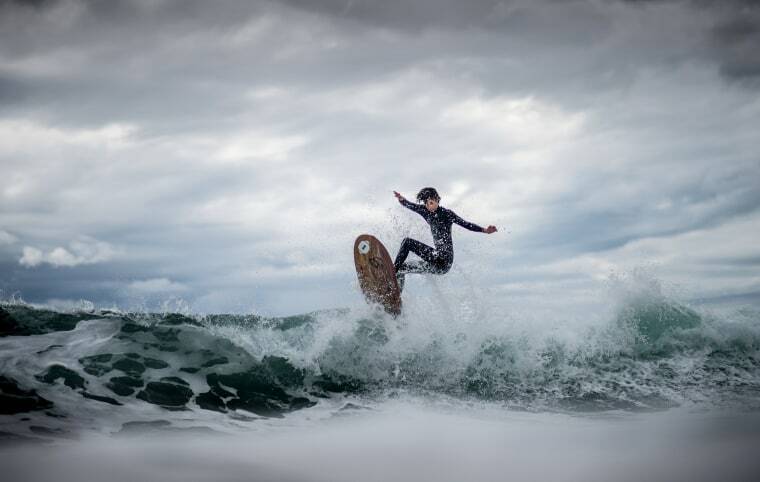 A surfer rides a wave on a day of swell generated by strong winds on the Mediterranean sea in Varazze, Italy, on March 6. 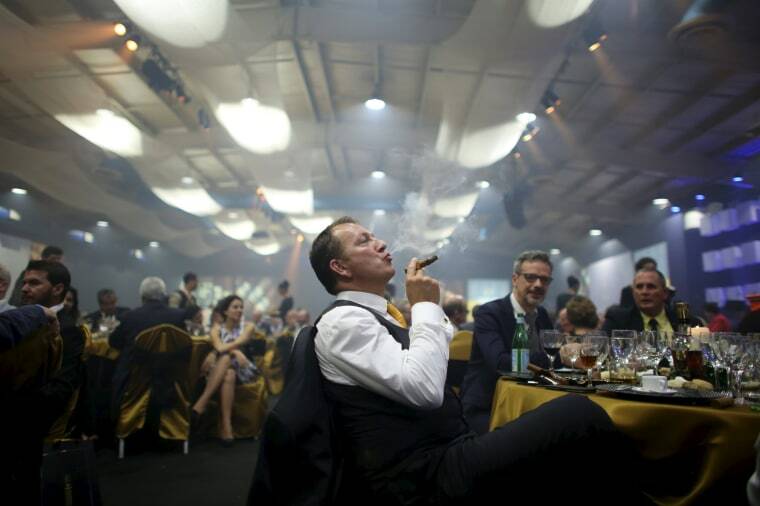 Juan Philippe from France enjoys a cigar during the gala dinner of the closing of the XVIII Habanos Festival in Havana on March 5. 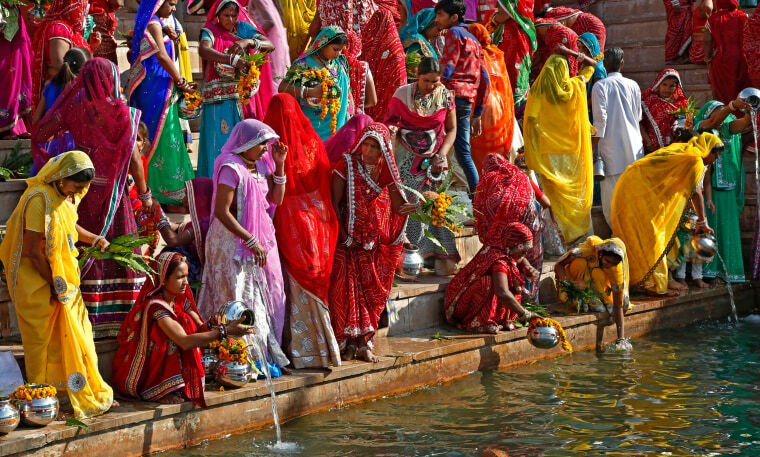 Hindu women collect water from the Pushkar lake to pour on idols of Lord Shiva, celebrating the Mahashivratri festival in Pushkar, India on March 7. 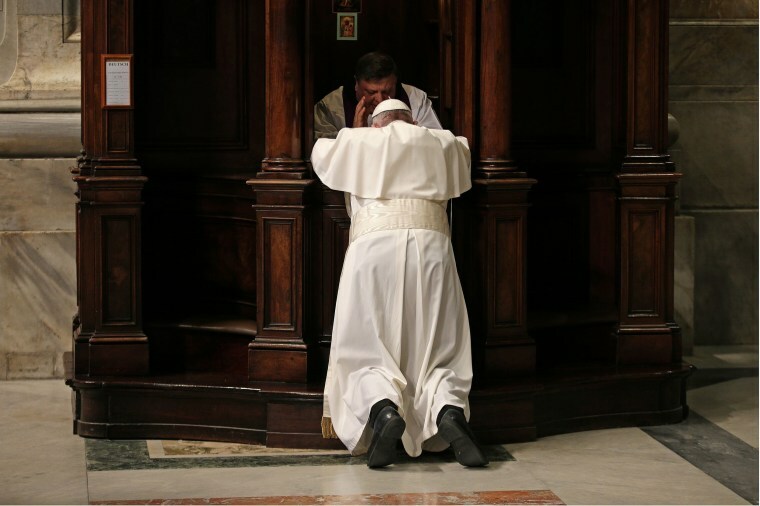 Pope Francis confesses during the penitential celebration in St. Peter's Basilica at the Vatican on March 4. 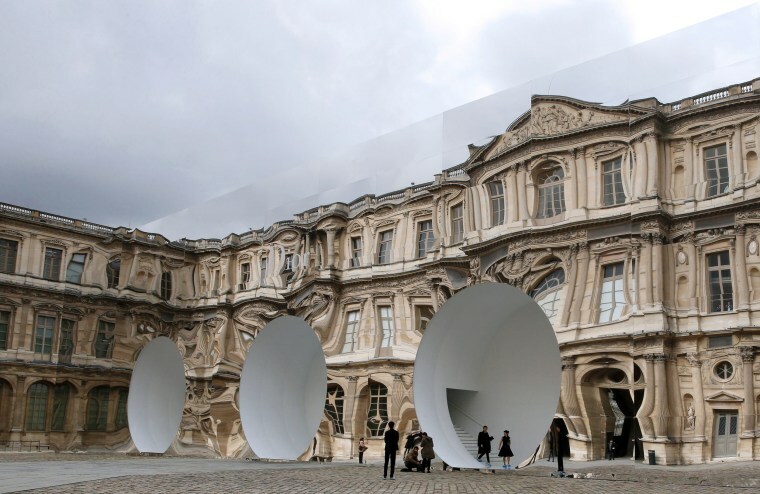 The Louvre is reflected in the venue as guests arrive for the Christian Dior fashion show during the 2016-2017 fall/winter ready-to-wear collection in Paris on March 4. 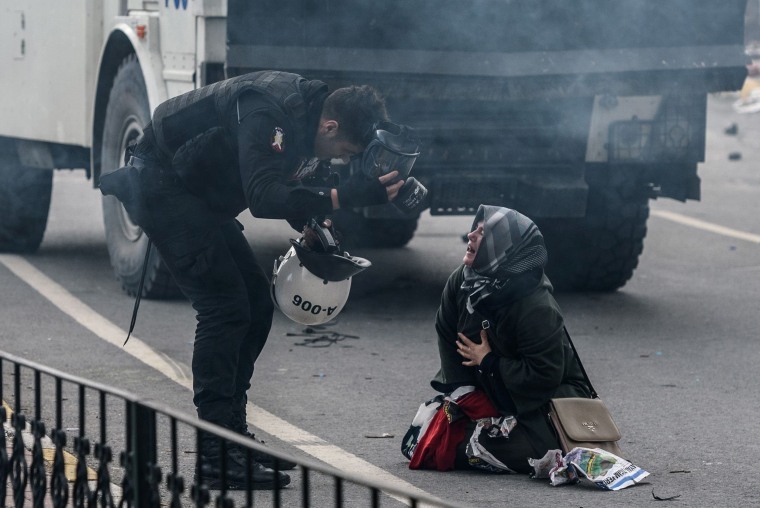 A police officer bends down near a woman crying in the street as Turkish riot police use tear gas to disperse supporters in front of the headquarters of the Turkish daily newspaper Zaman in Istanbul on March 5. Turkish authorities earlier seized the paper's headquarters in a midnight raid. 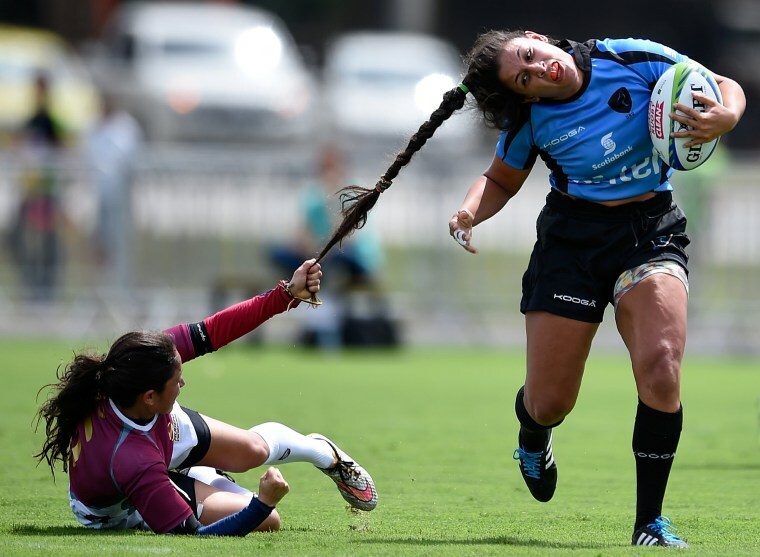 Maryoly Gamez of Venezuela battles for the ball against Victoria Rios of Uruguay during the International Women's Rugby Sevens - Aquece Rio Test Event for the Rio 2016 Olympics at Deodoro Olympic Park in Rio de Janeiro on March 6. 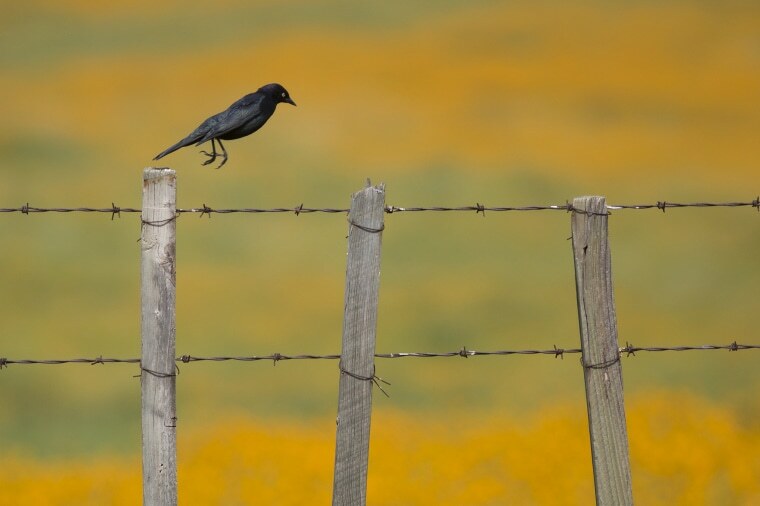 A Brewer's blackbird hops from fencepost to fencepost over a landscape of wildflowers near State Route 223, west of Tehachapi, California on March 4.